This morning I woke up and realized it has been much too long since I've been on Zara.com. As I was drooling over every beautiful piece of clothing, I stumbled across this black t-shirt. T-shirts are always my go-to piece of clothing - they are simple, they are understated, and they work perfectly on every end of the outfit spectrum. Sometimes though, plain t-shirts are just too, well... plain. Should you find yourself in that predicament, Zara has come up with the perfect solution. 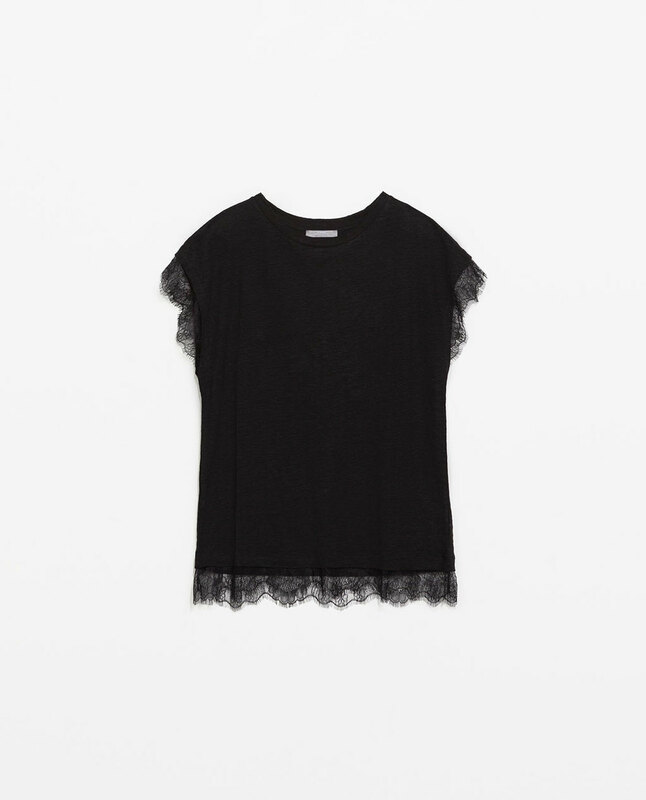 This elegant black t-shirt is made of linen instead of cotton, and has beautiful lace trimming on its edges, giving it just enough oomph to take it to the next level. I tried it with countless different outfits, and it does indeed go with absolutely everything. Here are a few of my favorite ways to style it.